Reportedly, the team of Jean-Claude Juncker is working on possible diagrams depicting what the future Commission could look like in terms of organisation. One basic idea is that the next EU executive organigramme should reflect the so-called “headings” or chapters of the Union’s budget, organised as “clusters” of Commissioners each headed by a Commission Vice President. Administration. The ceiling for this category of expenditure is set at €61.6 billion (6.4%). It is likely that Juncker is already starting to put faces on his diagram. According to previous reports, Commission Vice President Maroš Šef?ovi? would be happy to stay on as Vice President responsible for Administration. Austria’s Commissioner Johannes Hahn and Romania’s Dacian Ciolo? also reportedly would like to retain their respective portfolios of Regional Policy and of Agriculture. UK Prime Minister David Cameron has sought to obtain the post of super-Commissioner responsible for the economic cluster, also containing energy. Yesterday he named a pro-European member of the House of Lords, a conciliatory move signaling that the UK could still hope to obtain a ‘cluster’. 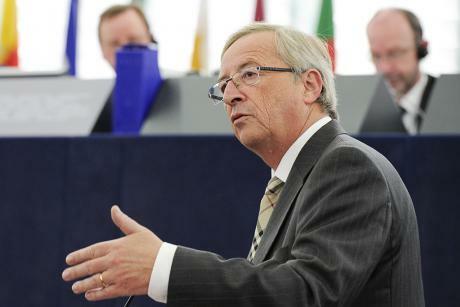 A large number of EU countries have insisted that the “clusterisation” of the EU Commission should not result in the division of national commissioners in two categories – “senior” and “junior”. There are currently seven Commission Vice Presidents (eight before the departure of Olli Rehn who took his MEP seat). It should not be excluded that some Commissioners outside the budget ‘headings” should get Vice President positions. The Economic and Monetary Affairs Commissioner is one of them, or possibly the Energy Commissioner, if Juncker decides to give priority to this policy area. Some Commissioners already work within clusters, the most visible example being the so-called “Relex cluster”, led by EU foreign affairs chief Catherine Ashton, comprising Development Commissioner Andris Piebalgs, Enlargement and Neighborhood policy Commissioner Štefan Füle and International Cooperation, Humanitarian Aid and Crisis Response Commissioner Kristalina Georgieva. In a recent interview with EURACTIV, Georgieva said that instead of a more official type of “clusters”, she said that to the contrary, she thought the Commission should instead adopt “a networking approach”, or a “more agile approach” in the interaction of commissioners. Georgieva is seen as a possible Vice President responsible for Foreign Affairs and Security Policy. French politician and economist Pierre Moscovici is a likely holder of a Vice President title responsible for Sustainable growth. But the “clusterisation” requires a Central Treasusy @ federal Level ! However the ECB can print money for this !